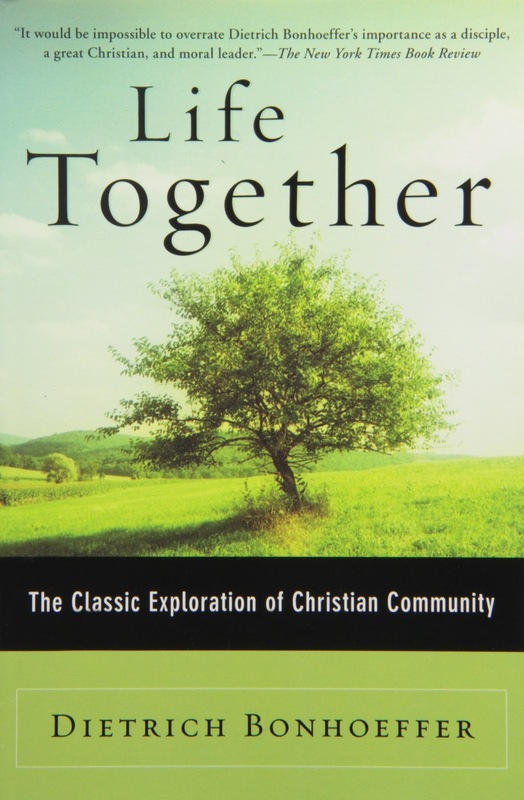 "He who loves his dream of a community more than the Christian community itself becomes a destroyer of the latter, even though his personal intentions may be ever so honest and earnest and sacrificial. God hates visionary dreaming; it makes the dreamer proud and pretentious. The man who fashions a visionary ideal of community demands that it be realized by God, by others, and by himself. He enters the community of Christians with his demands, sets up his own law, and judges the brethren and God Himself accordingly. He stands adamant, a living reproach to all others in the circle of brethren. He acts as if he is the creator of the Christian community, as if his dream binds men together. When things do not go his way, he calls the effort a failure. When his ideal picture is destroyed, he sees the community going to smash. So he becomes, first an accuser of his brethren, then an accuser of God, and finally the despairing accuser of himself." So, as we continue to wrestle with what true, Christian community looks like, may we be aware that it is easier to love the idea of community more than the reality of community. It's hard to be vulnerable. It's scary to be known. We don't want to risk being shamed. But let's push past our resistance and be willing to step into real, authentic community. Let's get to know each other in deep, profound ways. Let's commit to being there for each other -- in good times and bad. And let's watch and see the beautiful things God does in our midst as we draw closer to one another. Thanks Clint. It's been fun to blog a little bit again.